The last book in the 26-books-in-52-weeks challenge has to be a self-published book. I’ve read many first-class self-published books, so as has been common throughout this challenge, I won’t be choosing just one. First of all in the interests of full disclosure – I myself am a self-published author – or to use more up-to-date terminology I’m an indie-author. But call them what you like – self-publishers, or author-publishers or indie-publishers – such authors are a growing presence in the world of publishing. I would also say don’t be put off reading a book that is indie-published. Yes, there are some poor quality ones that have not been professionally produced, but there are also many diamonds. The best indie-publishers have a completely professional attitude towards their books. It’s a given that they must be good at their craft. But they will also usually hire an editor and a proofreader at the very least, and sometimes both a book and a cover designer as well. 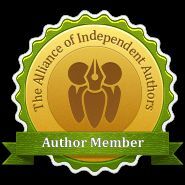 Indie authors have to be commercially minded, they are in effect running a small business. So they will also have to spend time marketing, seeking reviews, and generally building up and communicating with their loyal readers. Midnight Sky by Jan Ruth the first in a wonderful series of three. This author’s Wild Water trilogy is also well worth a read. Who’d Have Thought It? by Christine Webber. This was a most enjoyable story and Christine has a new book out in January. The Good Sister by Maggie Christensen. This is the latest novel by this prolific Australian author. It’s a truly heart-warming read. Behind Closed Doors by JJ Marsh the first in the marvellous Beatrice Stubbs series of detective novels set all over Europe and so amazingly original and entertaining. The Rise of Zenobia by JD Smith the first in the amazing Overlord series. And that’s it – book(s) number 26 brings the challenge to an end. Thank you so much to everyone who has taken the trouble to read, comment on and publicise these posts. So for one last time in this challenge, it’s over to you. Does it matter to you how a book has come to be published? If you haven’t tried an indie-published novel then has this post maybe encouraged you to try one? If you have read a book from this category, what did you think of it? Book number 23 in the 26-books-in-52-weeks challenge has to be a book written by someone younger than me. So that’s a huge field to choose from. I’d guess most current authors are probably younger than me. Spoiled for choice doesn’t begin to cover it. In the end I decided to go for three of my favourite authors – from my three favourite genres – and all of whom I’m guessing are indeed younger than me. Whew! This has been the hardest one so far. Where would you start with this one? And what would you go for? This, for me, has been the trickiest choice so far in the 26 Books Challenge. Reading in general is a life-enhancing, life–improving activity as far as I’m concerned. The reading of books has the potential to educate, inform and guide. And besides that, and perhaps even more importantly, books – be they non-fiction, poetry or fiction – have the potential to improve a reader’s emotional and mental health. And all of this applies from infancy to old age. Throughout my reading life there have been books that have made life better. There have been books that have challenged and inspired me, and books that have reassured and comforted me. I do realise I haven’t answered challenge number 21’s question yet. Like I said it’s difficult. I’ll start by narrowing it down. Let’s go non-fiction. I have a fairly large collection of guide books and phrase books which are a reflection of all the places I’ve travelled to over the last 40 years. All of them proved useful and contributed to the specific area of ‘getting to know planet Earth’. I also have how-to and hobby books and these include ones on cookery and gardening. It’s debatable how much the cookery ones have improved the specific area of producing delicious meals. But I like to think that my abilities in the specific area of stopping the garden invading the house have been improved by reading gardening books. Okay, I know, I can’t keep avoiding the challenge. So I’ll stick with non-fiction and narrow the focus right down. The Millennium Trilogy by Steig Larsson. Unlike most of the other books in this challenge, number 20 was an easy choice and came to mind immediately. Originally written in Swedish and subsequently translated into English (the language in which I read them), this dark, psychological, crime thriller trilogy ranks amongst my most favourite ever reads. For me these novels were compulsive reading. The main characters in all three books are Lisbeth Salander – a damaged, feisty, feminist, techie fighter for justice, and Mikael Blomkvist – an investigative journalist – and they are a totally beguiling partnership. The stories are intriguing, shocking and completely gripping. I read them all before seeing either the TV series or the film versions and, yes, the books were better. So, what about you? Have you read any good, or maybe not so good, translated books? Book number 18 in the challenge has to be a book that was previously banned. Originally published privately in 1928, DH Lawrence’s Lady Chatterley’s Lover wasn’t widely available until it was picked up for publication by Penguin at the end of the 1950s. But before it could be released for sale the book was banned. Its contents were described as including unprintable words during the obscenity trial that ensued. However Penguin won the case and the full unexpurgated version of the novel went on sale in 1960. Millions of copies were sold. The book tells the story of a love affair between an upper-class woman and a working class man and it seems that this cross-class relationship was judged almost as offensive as the sexually explicit language. It wasn’t the first of Lawrence’s books to be banned. Two of his earlier novels, The Rainbow and Women in Love were also initially blocked from being released. Of course things have moved on considerably and nowadays Lawrence’s writing would hardly raise an eyebrow. But exploring sexuality as he did in a lot of his writing was considered pornographic at the time he was writing. However, by the time I was at high school in the 1970s, Lawrence’s work was considered respectable enough to be included in the reading list for the upper school literature syllabus. I read both The Rainbow and Sons and Lovers while I was at school. And, yes, for a teenage school girl they were fairly shocking reads but the message from our teacher was definitely that we were reading first-rate literature. I went on at university and beyond to read more of Lawrence, including Lady Chatterley’s Lover, and he’s an author I have huge respect for. He wrote thought-provoking and engaging stories. And he didn’t just write about sexual relationships. He also wrote about emotional and mental health, about living life in a way that’s spontaneous and true to the self, and his female characters were strong and unconventional women. Yes he was controversial and his writing was ahead of its time, but banning his books only served to raise their profile and the profile of the issues he wrote about. His writing paved the way for novels that were more broad-minded and inclusive than what had gone before. The rights and wrongs of censorship is a whole other post topic, but having his work banned has done nothing to sully Lawrence’s long term reputation as a first-class writer. Have you read any previously banned books?